You are here: Home / Child Alters / Do Dissociative Trauma Survivors Actually Lose Time? One of the diagnostic criteria for Dissociative Identity Disorder is experiencing amnesia or lost time. While losing time may seem like an obvious hole in your every day life, it really might not be as obvious as it seems it could be. For dissociative trauma survivors, the sliding of time is a normal everyday way of life. It just is how it is, and time feels very different for DID survivors than it does for other people. 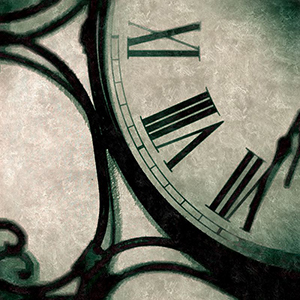 Dissociative survivors may or may not pay attention to the minutes that are gone, or the hours that have slid quietly by. They are very used to the ebb and flow, and unless there is reason to pay specific attention to the idea of lost time, they may not really be genuinely aware of how much time they lose. Every dissociative survivor I have met has recognized specific periods of lost time in his or her life. Sometimes, multiples think they do not lose much time, but with a few detailed questions, it can soon enough be shown that there are very clear gaps in memory and awareness of regular life events. There will be everyday type things that they know they should know, but they don’t. Some multiples will notice big chunks of time that seem to be gone. It will be 2 pm, and then suddenly, it’s 9 pm, and the survivor has no awareness of what happened during those seven hours. Those hours are considered lost time because they feel completely lost and unaccounted for. The host parts don’t remember what happened. If they look around, they might get some clues about what may have happened, but for the most part, it feels like time completely jumped seven hours ahead. Time feels lost to them because there is basically no information and no awareness about what happened. Other times, DID survivors will feel like they are mostly aware of everything that happens through their day, but their ability to remember what happened yesterday, or even to remember what happened this morning, or an hour ago is extremely limited. This is a different kind of lost time in that the recall is so nonexistent that it becomes the same as lost time since the survivor has next to no idea what happened. In both of these situations, time is being quantified from the perspective of the front host personality. Time loss can include other parts of the system as well, but the questions about lost time are typically addressed towards the host. This is an important distinction to remember. Because you see, even though time feels lost to the front host personality, in all reality, time is not lost at all. Yes, you read that right. Time is actually not lost. Time has not actually gone away. The DID survivor’s day is not shorter than everyone else’s day. Time has not disappeared in the way that it feels. While we use the term “lost time” all the time, that is actually not what happens. In fact, no one with DID actually loses any time at all. Actually, what happens is that the dissociative trauma survivors have switched to another part. Switching. Shifting from one part or another. “Transitioning” as US of Tara called it. That’s all that happened. You’ve switched! The hours of time can be completely accounted for if you know who was out and what they were doing. Time itself isn’t missing. What is missing is having the awareness or knowledge about who in your system was out doing what. So when the host or front personalities are completely unaware of life events, and there is no knowledge of what has happened, they have simply switched to someone else in their system who is out and doing all kinds of things. The body is likely up and active, and any number of things could be happening. Someone inside the system will know exactly what happened between 2 pm and 9 pm! For there to be “lost time”, this switch occurs with parts that are so dissociated and separated from the host personalities that the host personalities are not aware of what happened. Actually, this kind of time loss / lack of awareness can happen between any part of the system with any other part of the system. Many of the insiders may not be at all aware of what the host personalities are doing either. Part of the reason for time distortion, triggers, and flashbacks is connected to the insiders not being aware of the outside life in the current day, place, or time. Sometimes the lost time between these parts are just from not paying attention. For example, one set of parts can simply be daydreaming or drifting off, and simply not concentrating enough to be aware. Maybe they were choosing to have an internal nap or be otherwise internally occupied. However, if they actually tried to be aware of what was happening in the outside world, they may fully well have known exactly what happened during that lost time. Or with a little effort, they may have been able to get close enough to the front of the body to be aware enough to see, or hear, or know. Other times, the dissociative walls / amnesiac walls are much thicker and less penetrable. In these situations, one set of parts does not want the others inside to know what is happening, and the blocks put between them are strong and absolute. Parts from within the internal system are specifically dividing themselves away from everyone else so everyone inside is not aware. If you have parts that are specifically hiding their activities from the rest of everyone else, this is an important issue to address in your therapy. In my opinion, integration is not necessary for successful stable functioning. But, eliminating time loss and/or periods of unknown switching is important for exactly those reasons. It is ok that everyone within has their chance to do what they need to do, but it is also important to build the communication around what is happening. You all share the same life. Being more aware of what happens in that life is important. So the next time you want to know what happened during that chunk of time that you don’t remember, ask inside. Ask who knows about it. Ask who was out, or who saw what happened. There will be someone inside that knows exactly what was happening during that chunk of “missing time”. You might need to work on increasing your internal communication with those parts, but once you know the others in your system, that time loss will decrease. Even if the time loss is happens, but if you know who is out, that can help with knowing what happened. The more you know your whole system of insiders, the less unaccounted for time you will have. Once again I’ll say, internal communication is the central core of treatment for dissociative identity disorder. If you want to know what is going on, talk to each other!!! This was very helpful for me. Thank you for sharing. Thanks for your comment – I’m glad this article was helpful for you. It’s nice to see you here. hmmmm that is really interesting and makes a lot of sense. i certainly wish i’d been able to communicate this as clearly when in psych evals and in T. On the spectrum, I am fairly lucky – the most time i’ve lost was 3 days during emergency aide work after hurricane katrina – i’ve never been able to account for those days. Today we went to the zoo – spur of the moment, exciting, xanax. i’m now holding a stuffy snow leopard and the host got a baseball style cap to protect her from the sun (smart move, but not planned). I know at some point there was a panic, another xanax half was needed, and it was too overwhelming to try to slice it – we took the whole. the last time i had known was 5pm and i was surprised then. the next time i knew was 7pm and the zoo was closing. we’re were all beyond exhausted – nearly past endurance, but the first half of the trip was really nice (rare, too). I usually know there’s been a swap because either toys or foods i am allergic to have been purchashed – like today. But it is good that “Someone” knows what was happening, even if it wasn’t me. Is it possible that hosts can change? I seem to be present as much if not more than the original host. And yes, absolutely, hosts can change. That’s pretty common. The “why this happens” would depend on why it was necessary for this to happen with your system, but yes, it certainly is possible. Assuming you are DID (because you’re posting here)… you’ll need to work on finding out who the driver is as clearly there is someone who can drive, and they can block you out behind a dissociative wall. Talk inside, look inside, ask. Check back…. and listen for the answer. Pay close attention to how you feel when you are driving. Do you feel like you gradually drift away? Does it feel like someone else is coming up near to you? What do you hear when you’re driving? What do you feel? All these kinds of body experiences, thoughts, feelings, etc will give you big big clues for who it is in your system that is taking over while you’re driving. And if you can’t see who it is, maybe someone else can see, and maybe they will tell you. SYSTEM WORK. That’s what this calls for. Lots and lots of system work so you can get to know your people ASAP. Definitely take this question to your therapist, Brenda. 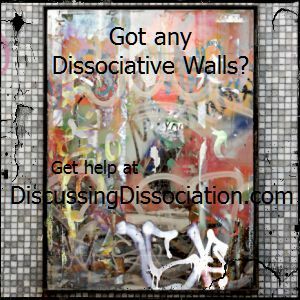 You might need help to hear through that dissociative wall, but it’s possible to learn more about whoever it is. I promise you can learn more about them if you work at it. Good question, Brenda. Lots of people will relate to it, I’m sure. Hold tight, and work hard. i hate when my therapist tells me to “ask inside” it’s like all i ever here because i am always loosing time, or switching or i can never remember what i’ve eaten or if i’ve eaten. i can’t account for the day, or month sometimes. the only time i actually seem to know what IS happening is in therapy. I don’t even get to follow your blog as much as i used to because others inside wanted more time out, and it’s so many of us that there aren’t enough hours in the day for everyone to get their own time so we are constantly rolodexing. There are chunks, huge gaps of my life that i don’t remember. People who are in my life and i can’t remember how i met them or why i know them. i’m missing the first two years of college, and my senior year of highschool. i have no memory of middle school, and only pieces of elementary school. i can’t remember therapy from session to session though i could swear i’m the one who is there, but if you ask what i talked about on friday from our tuesday session i’m clueless…and then my therapist says ask inside. and i ask inside, but no one feels like sharing, it’s like i’m an inconvenience or something, like why can’t this girl just keep up or something. so i feel stupid asking inside because i am the host, how come i just don’t know. its frustrating. i’d give anything in the world not to be so fractured. Keep working on building the team-connection with your insiders. It can get better. Its kind of odd that you wrote this post tonight because we were just thinking about this topic today and were going to write a post about it. Since going on vacation a few weeks ago several of us have been losing time more often than usual and its been bothering us a bit. Usually its just a couple times a day for a couple of us, but lately it seems to be several of us all day long. It makes us feel really scatter-brained and dumb. We’ve lost time ever since we were little, and to a few of us its no big deal because its just been this way forever, and to a few of us it just makes us feel crazy. Its been anywhere from a few minutes to a few months to years. Thanks for writing this Kathy. We have lots of thoughts on this topic. Caroline forgot to mention that all our losing time as kids made us get absolutely obsessed with time. We had a collection of clocks and watches– still do. (We’re currently trying to break the obsession by refusing to wear a watch this summer.) We have always had a clock in every room, even the bathroom…. at LEAST one clock– sometimes more. We have ALWAYS needed to know what time it was, always had a “schedule” to follow and worked on being on time for everything (hard when you lose time). People in our family, and our friends, always made fun of us. “WHY do you HAVE to know what time it is?!! !” and people would get exasperated. But we’d say, “Just checking.” and “Just need to know, that’s all.” We’re trying very hard to not be so obsessed with it anymore, so its gotten quite a bit better… but we think we lose time a lot more often and dont’ realize it. There’s a balance in there somewhere, probably. I often feel that I don’t remember stuff. Often when I see my T, I don’t remember what we talked about the other day, or I keep a kind of general awareness of the subject(s) but it’s very difficult to recall important stuff from the session. It’s like l have been eardropping on a conversation and I havn’t maneged to hear everything. Nice to see another post! The loss of time can be such a scary thing for most anyone on in a DID system, it’s that realization that you’re out of control. Not a comfortable place, especially if the things happening might be dangerous to the whole system or the body. The body is always the linear componenant in out lives. It’s always there no mater who’s up front. The body even has it’s own memories of what happened/happens to it which is really cool once you get used to the idea. Loss of time can also be a way to give folks in your system privacy, something we as survivors didn’t get much of has kids. This only really works after the internal communication gets worked out and you build some trust for each other to be able to let someone take a block of time with permission. It’s not the same as random loss of time it’s more managed time loss. You’ve made some great points. I hadn’t thought of using the word “privacy” as one way to view loss of time … hmmmm, really interesting, and that actually makes a lot of sense as well. You’re right tho’. Having a life that was completed violated over and over, find ANY way to get some personal privacy would be necessary. And yes, learning to share “blocked time” (and trusting that part of yourself to be able to make healthy responsible decisions during their periods of private time) can be a really positive step. It can be a sign of trust and cooperation when it is agreed upon by the internal group as a whole. This was interesting — one of my lifelong struggles in being correctly diagnosed with DID is that I do not lose time, and never have, though I have some memory gaps about childhood events, but nothing that was considered outside the realm of PTSD. My partner loses time, however, and in watching other parts of her personality take over her body, and in hearing her describe what it’s like to not know what she was doing for the past hour … I can’t imagine how disorienting and frightening it must be to cope with that phenomenon on a daily basis, as I know she does. One part of the work we are doing together is to help figure out what triggers her, so we can better-target whom she can try to communicate with internally to see what that part needs or wants to say. It is interesting to me to note that she genuinely has no idea what triggers her, though I can always see clearly what it was … it’s as if the switch/time loss “backdates” to the beginning of the event or conversation that causes her to shift. Thanks for the comment – it’s nice to see you again. You’ve made a really important point. I have often seen the same kind of thing happen in my work with multiples as well — when the dissociative person gets triggered and switches, they may completely forget / lose / have no awareness of what happened that made the sudden trigger, sudden switch, and sudden time loss. Unless they have developed some really good internal communication (ie: who inside remembers what happened to trigger so and so, and will they say) OR if there is an outside person watching who hasn’t lost any time (and can therefore provide the information), it can be really challenging to figure out what the triggers actually are. Obviously, the more that dissociative survivors know and recognize their triggers (so they can do the work to resolve whatever issues are being stirred up), the more stable and peaceful they will be. Thanks – I’m particularly glad you made the point about how you can always see clearly what the trigger was, even when she has absolutely no idea due to the time loss. Your partner is fortunate to have someone so dedicated to her and her healing to help with these kinds of things. Sharing that information with her will really help speed things along. Thanks for coming by. I hope you are doing well. People often talk about “losing time,” but we only lose time in therapy, because that’s, with few exceptions, the only time when we allow other parts to come out. I have two very strong host personalities (Jen and another) who prevent others coming out so that we can work and be functional. But even if we rarely lose time, does it still count? 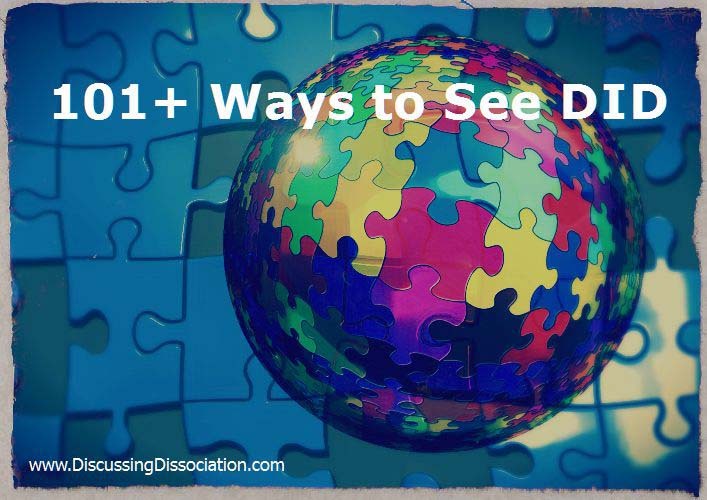 Welcome to the Discussing Dissociation blog – it’s nice to hear from you. And along the lines of the missing time, it sounds like you have a fair bit of system control in the sense that you can work very hard to prevent a lot of switching, outside of the therapy office — which means, you are feeling safe enough with your therapist to allow some of the others to talk, and that’s a really good thing. If you only experience losing time during therapy, it is still losing time, and that’s enough to “count” diagnostically speaking. But it also shows you that when you switch to others in your system, you can and do lose time. The fact that it happens at all counts. I was in the process of writing a lot more of a response, but I think I’ll save the rest of what I was going to say here and make that my next blog post. There’s just a lot more to consider…. I’ll expand on that and post more soon. Ohio has a new question they ask when renewing drivers licenses. It had something to do with if “you are subject to time loss.” We were totally unprepared for the question so my wife just said “no.” Technically she doesn’t lose time as you said. But we were afraid an affirmative answer would have rendered her without a license. I just have an agreement with the insiders that my wife is always allowed to peek if they are driving. I realize I can’t enforce it, but I think the two who are constantly out with me and my son abide by the rule. Oh gosh, Sam — if the driver license offices could enforce that subject to time loss could nullify your chances of getting an active driver’s license…. wow – that would make a lot of multiples very upset! But … there are times that driving issues can be a concern… hmmmm. That’s a big topic in itself too…. Maybe I’ll add that one to my list of future topics too! Time is always so screwed up and strange. it stretches and contracts and doesnt’ follow any linear thing at all. its so confusing. the past and the present get all mixed up all the time.the past doesn’t stay in the past. so much happens in 1 day for all of us, it always seems like we’re living 15 different lives at once anyway. our parents are always saying how fast time goes by, they’ve always said, “when you get older you’ll see how much faster time goes by as you get older” but they’ve been saying that for 30 years and it hasn’t started going by faster yet. so much happens all the time. they always say how they can’t believe how many years have gone by. but to us, time is so fluid, something that our parents are talking about could have been yesterday to us. or something that happened yesterday might feel like it was a month ago. or to one of the inside kids, 1983 still feels like it was this morning. or someone else is still living in 1978, while someone else is still living in 1989. we never remember what year it is, let alone what month and day this is supposed to currently be. its all very mixed up. we don’t know how most people keep track of this type of thing in their heads. some people say that time moves on every day. but for us it doesn’t. it always stays trapped inside our mind going in endless loops. here, here, pilgrim’s child. i can’t even count how many times in a day we ask “what day is this?” and come up with many answers. Thanks be given to my phone (i had to check): Sun Aug 1. I also keep telling people I’m a different age… *sigh*. I mean, i know our insiders and their range of ages, but after 26, I really have no idea. So i answer anything between then and 35 (even tho we’re not there yet). @_@ I also hate stumbling on my name when 2 names are about to be given and i don’t know which to say – or can’t come up with either (the internals don’t give out their names, but we have 2 externals (Sam – we also argue over which of us two gets to drive; the other then back seat drives LOL). Palemoon, i would say yse, it does count. When others have control on the system it would be normal that there is no “time loss” since no one is coming or going. Between our two externals, we do not really lose much time like that, but more of lose awareness depending on who is responding to what. and if someone comes up and surprises us – like “hey when we were talking about x” and they were talking with me (kiya) then the host is left going “huh? !” (embarrassing…). I am glad this article stressed how it is different for each of us and our systems – it is so difficult when “professionals” attempt to pigeon hole DID and then discount it because of some definition or another. I never realized that I lost time until my system started “unravelling” and my “lives” started bumping into one another. I started running into people that I didn’t know, but who seemed to know me well. They would tell me that they had enjoyed seeing me the other night. I was terrified. They weren’t the kind of people that felt safe to me and I couldn’t imagine that they knew me or that I had spent any time with them. I started “coming to” in places far from my home that I did not recognize. It was around that time that I started having flashbacks of my “other life”. It was then that I began to understand what I didn’t want to know. I still shudder to think of it. Thanks so much for both your comments. As always, it is good to hear from you. You’ve clearly done a lot of work with your internal system, and you’ve worked really hard at addressing the things you found behind your dissociative walls. Sometimes there can be really scary stuff behind those walls! But you have shown that with courage and consistent effort, you can find safety and peace of mind. Hopefully, some of the fear you feel will dissipate over time. The more years that you don’t have that double life, the better you’ll feel! But keep talking with your insiders. They’ll know if there is anything else going on, and once your time is completely accounted for, you’ll not have to worry. it sounds cliche, but i am (glad, thankful..?) for your post. it’s a risk and i can hear the fear in your words. you’re 10 years away from that time and sounds like you’re in good hands. i am glad to have ‘met you’ thru here – i am touched by your post. I found this a very interesting topic. I’ve been in recovery/dealing with DID and trauma issues for twelve and a half years now. So I’ve been doing this work a comparatively long time. When I first got into the “mental health system” I was seventeen, and severely depressed and suicidal. I was also dissociative enough even the county mental health people I had to deal with saw it. I didn’t “lose time” so glaringly at that point as other things- episodes of “watching myself do things” and of going into very intense trance-states (I would *love* to hear what you have to say on those kind of catatonic-type states- it’s not something I’ve found much to read about even though others have that happen as well). The then-host person wasn’t *aware* of losing time at all- though if you’d asked her it’d have become very clear she didn’t remember a majority of anything. Our first therapist, who worked with me through the county, would NOT diagnose us with DID despite knowing and interacting with various parts, recognizing them on sight and by voice, etc. (We found out about DID by researching this “dissociation” thing people were saying we did). We were later diagnosed DID and had that confirmed repeatedly by experts in three different trauma programs, and our own current therapist, who has been in the field almost thirty years. It bothered me that my first therapist wouldn’t actually diagnose us- a main reason she cited was we “didn’t” lose time/enough time. The reality is, at that point, the host didn’t *know* she lost time- that was how it was set up. I think in our case and for most people with a background like ours (organized abuse, ritual abuse, mind control) that’s the case. The *point* of losing time is to NOT know you lost time. If you knew, then there would be something there to question, to say things aren’t “right”- and the whole point of dissociation is to block off awareness of those things that are painful and wrong. I think one of the key things for me/us in becoming co-conscious and aware with other parts is to- have empathy for them, and compassion, and to be able and willing to tolerate being *with* their feelings and experiences. I wasn’t the “original” host when we got in therapy- she’s not here any more- but my role since I took over with that has been kind of drawing things more together internally. And it’s worked. For example, I now remember things that happened to other parts- not as “their” memory but as it happened to me, in first person etc. That’s been- really hard, but really healing too. A note on the “privacy” thing- we’ve purposefully allowed parts who carry really heavy stuff to come out and “block” a lot of the rest of us to talk about it, if it seemed like it would overwhelm our system to be there with them, or they couldn’t face talking about it with anyone else “present”. This has actually helped pace and moderate our therapy at times, and contain the flow of information or when memories are flooding. I’m sorry this was so long- I seem to have a lot to say on the matter. Thank you for your comment as well. I’m glad you had a lot to say about this topic, because the things you had to say were very helpful. You’ve clearly worked on these issues yourself, and you’ve got some great ideas. I agree with you that one of the points of losing time is often to not know you’ve lost time. I’ve certainly understood that, and bringing the separated bits of information back together isn’t particularly easy to do. You are so very right that having empathy and compassion for the other parts is one of the most important ways to approach this whole issue. Well said. Thanks for the helpful ideas – much appreciated! is there a link between being stressed out and losing time more often? or between feeling more stable and not losing time so much? (did i say those right?) It seems like when we’re feeling better, we don’t lose time so much. But the past 2-3 weeks, we’re losing time like crazy, because we’re switching more and have a lot more going on in our head, and can’t seem to keep track of each other or what each other is doing– even though normally, this isn’t so much a problem. I would guess that yes, there is a link between being stressed out and losing time more often. Even for non-dissociative people, high stress can be associated with a some short-term memory loss, or an inability to concentrate and greater difficulty in remembering the little things. It’s like the brain gets over-saturated during times of high stress and it just can’t hang on to everything. So for DID survivors, especially when there is a tendency to lose time and to not retain all information across everyone in the system anyway, I would think that yes, increased stress would make that happen even more. And yes, I would also assume that there is a link between greater stability and not losing time as much. Meaning, that the more time you lose, the harder it is to maintain ongoing and consistent stability. I agree with that because losing time means losing information about what happened in your day. That could be missing information that is just everyday type information (when was that appointment again? or where did I put something), or it could be more serious and heavy-duty. The point being, you might not be able to have control over what information gets lost or forgotten, especially if there is a lot of switching. So yes, I have to assume that not losing as much information, or not having to struggle as much to find that information, would help improve stability. I hope things calm down for you soon. Thanks for your comment. Thanks for the support and encouragement! 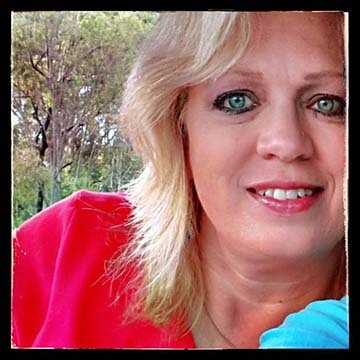 I am so grateful for you, this blog and all of the wonderful readers I have “met” here. This is a wonderful place of sanctuary, where I can come and know that I am understood and supported. It’s lonely sometimes out there “in the world” of day to day living, and I sometimes feel very alienated. Coming here, I know that I belong and am among a community of people who are committed to healing. On a purely objective level, I know that I’m not living two lives anymore. There’s a huge amount of evidence that says that I am living the life I know about today and nothing more. I think that it will just take more time to experience the safety of my life as it is now so that I will truly “know” on an emotional level that I am free. I am grateful to my system as it existed then, for protecting me so well and completely from the experiences that they bore for me. I am grateful to my system as it is now, for allowing me to incorporate the skills and talents of the parts that I did not know before. I am also grateful that they have allowed me to experience life as more or less a “whole” person, while still knowing that if I ever should need them again that they will be there to help and protect as they always have. I wonder if being sick can make you switch more too,like being more stressed can? We have been sick for about ten days and switching so much and losing so much time with hardly any co conciousness ( we usually have a bit) that none of us knows what each other is doing. It has made things a real challenge and really interesting to say the least. We are finally starting to get well so hopefully we will get control over our mind again. Its been strange, though, to have all those barriers back between us that took years to take down.we put a lot of work into cooperating with each other and knowing what some of the others were doing, so we dont want that to be undone. Thanks for coming to Discussing Dissociation. I clearly don’t know who you are, and there are many things involved in understanding DID, but keep reading here, and if more of it applies to you, then maybe it is possible that you were dissociating during that chunk of time. I think the only thing you are losing is the awareness of what happened. And, if you start paying attention to the idea that you may have skips / jumps in time, and if it actually does happen more than once, then you might be on the cusp of learning something really important about your life. Keep working at it — there are answers for you. I have been really trying to figure out WHERE i go when i lose time. Shouldnt i still be aware, or something? At least be aware that i am hidden on the inside somewhere? I dont like the frequent black outs, when i am doing something, and then BOOM. There i am again, hours/ days later and i dont have any idea whats gone on. Is there a way to MAKE us not lose time so much? Since January it has been happening more and more. And then lately, last couple weeks, i find more and more evidence that others (who are usually NOT nice others) have been out- sometimes its little things like finding out they made their favorite cookies like this did last night, or they ate at a restaraunt the rest of us cant stand, and i didnt know about it, and sometimes its bigger things like finding cuts/ burns/ etc and hateful notes left to other insiders. How do they DO that? How do they get past me? Is it somethng i am doing wrong? And what can i do to get them to stop? How DO you just..learn to stop switching? Or at least be able to stop it or do something about it? I have tried to do research on the internet about this but havent found anything helpful. But a few years ago losing time started to get really bad. Well i guess it was back in 2000 so more then a few years. That was when michael started coming out. And we would lose time, lots of it, and our therapist would have us listen to voice mails that michael left for her, threatening to kill the bad people and he was going to beat them up and stuff. Then ot wasnt so funny amy more because we know he can get us in lots of trouble. We want to know where is that other girl now? The last time we saw her was four years ago for a couple of minutes in our therapists office, we dont know what she said to her but we do remember she was confused. And then she went away again. How do we get her to come back? When is she going to come back and take over her own life again? Is she gone forever? Is she losing time right now or is she just…gone/ invisible/ maybe dead? thank you for the post, and sorry for my English (it is not native). I think, telling someone the daily routine and important events will be helpful for him? may be writing a kind of authobiography including his feelings and thoughts? the core or host or what you would call it, doesn’t lose time. We are set up so that there is a sort of consistency. Even when we switch, it’s never 100%. It’s always a co-front.